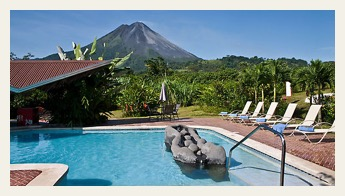 Costa Rica Fun, Sun & Adventure tour. 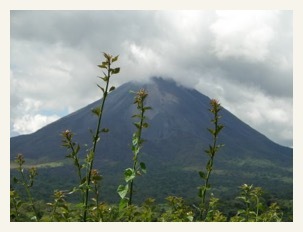 Our Fun, Sun and Adventure package was especially designed for those travelers wanting to experience variety of Costa Rica`s highlights and ecosystems. After one night in San Jose, start your exciting vacation with a relaxing cruise to beautiful Tortuga Island, on the Pacific Coast. Particularly enchanting for it's beauty, Tortuga Island is known for its immaculate white sand beach and turquoise waters, a perfect stop for swimming, snorkeling and Calypso's famous lunch. For passenger safety and convenience Manta Raya has a bow ramp which allows her passengers to disembark directly onto the beach. 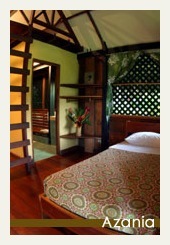 At the end of this tour we will take you directly to Monteverde where you will stay for 3 days. 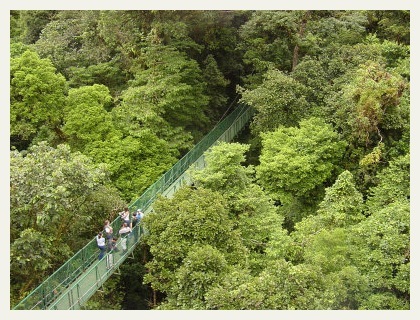 This area boasts some of the world’s last remaining tracts of cloud forest, and provides an ideal habitat for birds such as the resplendent quetzal and bell bird. 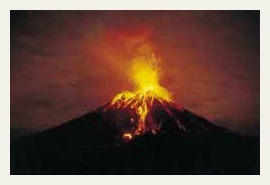 Continue your adventure at the amazing Arenal Volcano area, one of Costa Rica`s most active volcanoes. Here, besides having the chance of watching an eruption, you will enjoy a relaxing time at one of the natural hot springs of the area. 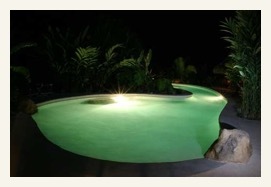 Now, heading to the Caribbean Coast of Costa Rica, 2 nights will be offered at one of the enchanting hotels of Puerto Viejo Beach. 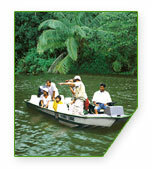 Feel the rhythm of Calypso music, while relishing a typical rice and beans and tropical cocktail within the exuberant evergreen vegetation of the zone and the white sand Caribbean beach. End your vacation with one more night in San Jose. 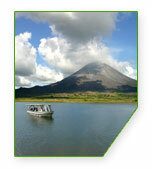 Upon arrival to international airport, our guide/driver will pick you up and will take you to your hotel in San Jose. 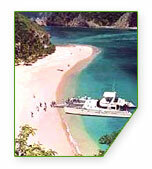 He will forward all documents related to your trip including itinerary, vouchers, brochures and other information. 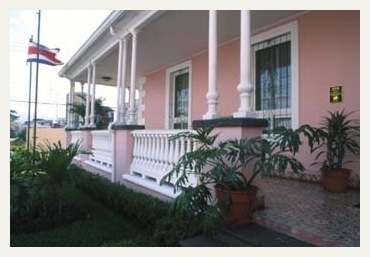 Lodging will be offered at The Hotel Radisson, Tryp Sabana, or Presidente, or similar hotel in San Jose. Free day to explore the city and surroundings.